Planning a Disney vacation can become overwhelming pretty quick. Did you book the resort? The fast passes? The dining on the right days? Are there characters at this breakfast? What about the app? How are we getting there? The questions are enough to make you just give in and give up. But lets face it, you didn’t spend all this money on your Disney vacation to sit by your resort pool drowning in indecision. So what needs to be on your Disney Must Do List? We’re narrowing it down to 10 things, because 20 things also can feel pretty overwhelming. 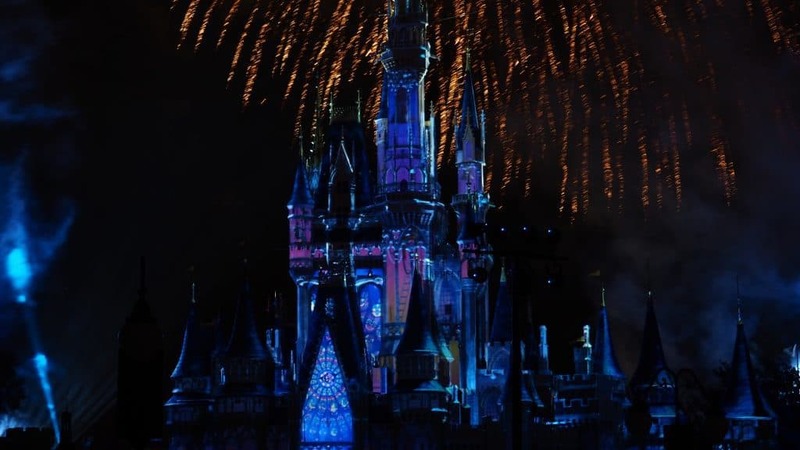 Do these 10 things and you’re Disney vacation will feel as magical as you hoped. We can’t stress this one enough. Nothing is less magical than having blisters and sore feet by the end of your one day at Disney where you realize, yes, you just walked 15 miles today and you have 5 more days to go. We’re not exaggerating this one. Look at your phone… we find we routinely walk between 13-15 miles at one park in one day. We’ve worn through good shoes, regretted opting for flip flops and have spent time searching for socks and large bottles of foot cream. That said, douse the need to be Instagram-cute all day long. Do we advocate for a good outfit change and photo shoot- yes, absolutely! Do we suggest just stashing those cute shoes in a locker after your mini photo shoot- yes, absolutely! A great pair of shoes for Disney will have a thick insole, be worn-in, and preferably a little flexible. You can also pack a pair of flip flops to give your feet a breather half way through the day, but unless your flips are Sanuk, with thicker soles- they are not all day Disney shoes. 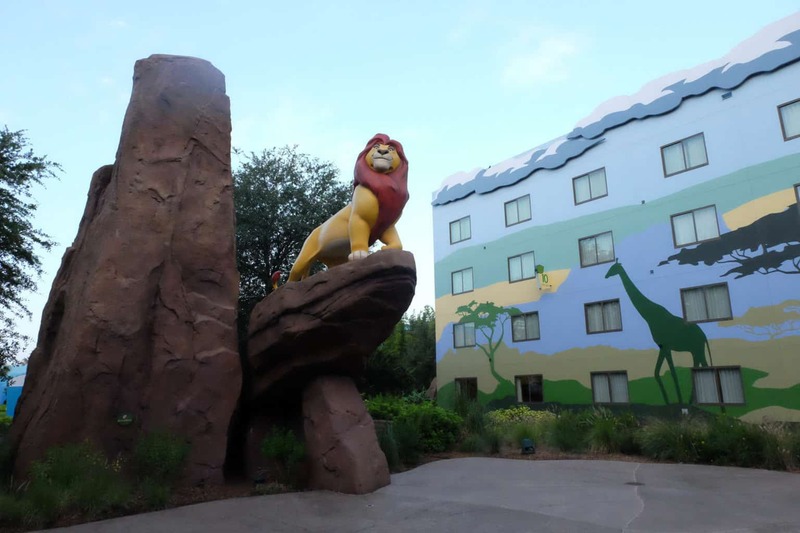 While we wouldn’t necessarily recommend this if you were at Disneyland, if you’re headed to Walt Disney World, you’ll find on-site hotels comparable to other Orlando hotels. And if you’re lucky enough to book during a sale or bounce back offer prices go as low as 89 dollars/night ( we’ve even seen some offers as low as 49 dollars a night!). Apart from cost there are other reasons we would definitely suggest staying on site. As a Disney resort guest you get access to magic mornings and evening magic hours allowing you early and late access to the parks, bus service, check in service for your airline at the resort ( we use Southwest), use of the Magical Express which allows seamless transition from the airline for you and your luggage straight to your resort room. What we really love about staying onsite is that you’re immersed in the Disney experience completely. Mickey cartoons play in the dining hall, Disney movies are offered on the lawn at night at most resorts and the gift shop is right near the concierge desk for last minute souvenirs. 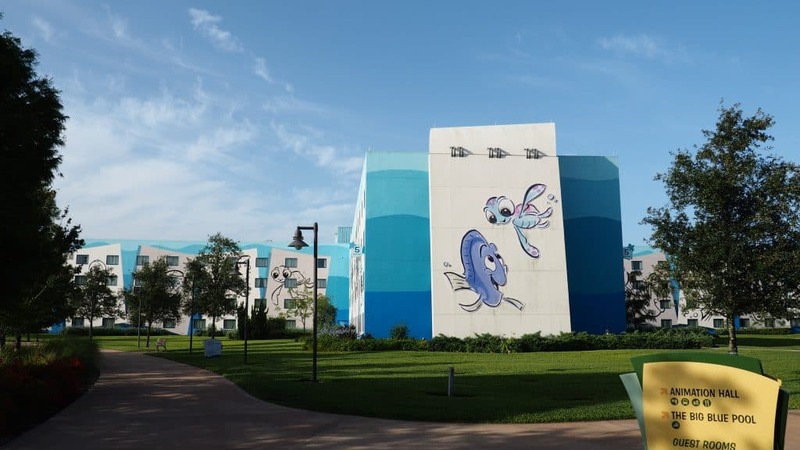 If you’re staying at the All Stars Value Resorts you’ll get crazy Disney chaos in a good way. If you’re staying at a moderate resort you’ll get extra amenities, more relaxation and a lot more quiet with all the Disney flair. If you opt for the deluxe resorts or villas build in resort time since you’ll be paying a hefty penny to enjoy the luxury. No matter which resort you choose its an experience you won’t get at the local Wyndham. If you’re staying at a Disney resort you’ll be able to take advantage of Magic Mornings which allow you an additional 1 hour access to the parks in the morning before they open. You can also take advantage of Extra Magic Hours which means you can stay 3 hours after normal closing hours. For our money, extra hours in the parks always looks good. It means we get more rides, more snacks, more meet and greets, more hidden mickeys and more shopping. Getting there early or staying there late for even just one day during your vacation will make your Disney experience more memorable than you can imagine. Yes, chances are you’ll have groggy grown ups in the morning or whiny/ sleepy kids at night but sometimes that just means lots of coffee or an extra stuffed animal… both great vacation experiences! You’ll also see a completely different Disney! In the mornings the park is calm, quiet, lines are minimal and you get beautiful unobstructed views for pictures. 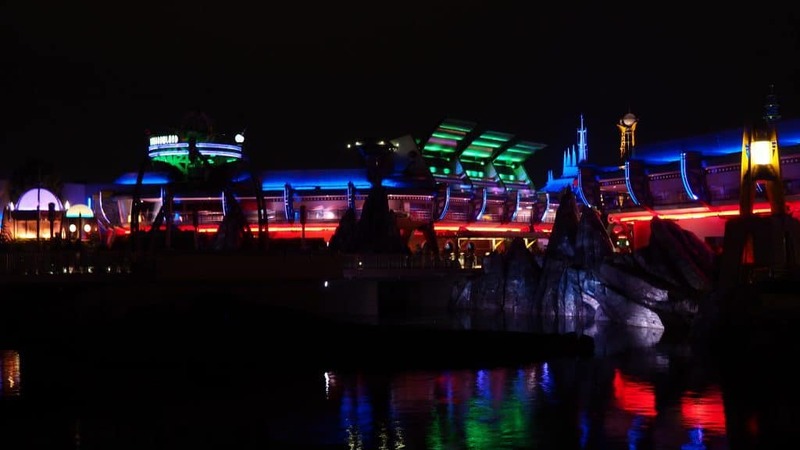 In the evenings you’ll get to experience rides and lands at night! Late night parades, fireworks and our favorite end of the day tribute to Walt Disney, The Kiss Goodnight. Hopefully booking fast passes doesn’t feel intimidating or arduous to you. If it feels confusing, check out our Quick Guide to Fast Passes . This tip definitely makes our Top 10, because when you have a fast pass, all you really need to do is show up which makes your vacation feel more like vacation. Disney is less stressful and way more fun when you do a bunch of work ahead of time. Booking your fast passes is some of that ahead-of-time work. The whole process is pretty simple. You get 3 of them a day. Book your 3 fast passes for early in the day if you hope to grab more from a kiosk later. Or you can spread them out and hit the non-popular attractions in between. Either way, take advantage of the fast pass system. I don’t think we’ve waited in lines since 2012. That said, we always feel more relaxed and less rushed when fast passes are booked. And if worse comes to worse and we miss a fast pass or something better comes up, you just book another one. Never a big deal, but such a great perk we don’t know why more people don’t take advantage of this on the popular rides. Check out our bucket lists for the best rides to fast pass. No matter how well you plan your Disney vacation there’s always a chance that something will go wrong. First, we’d just like to you remind you that you’re at Disney, the most magical place on earth. 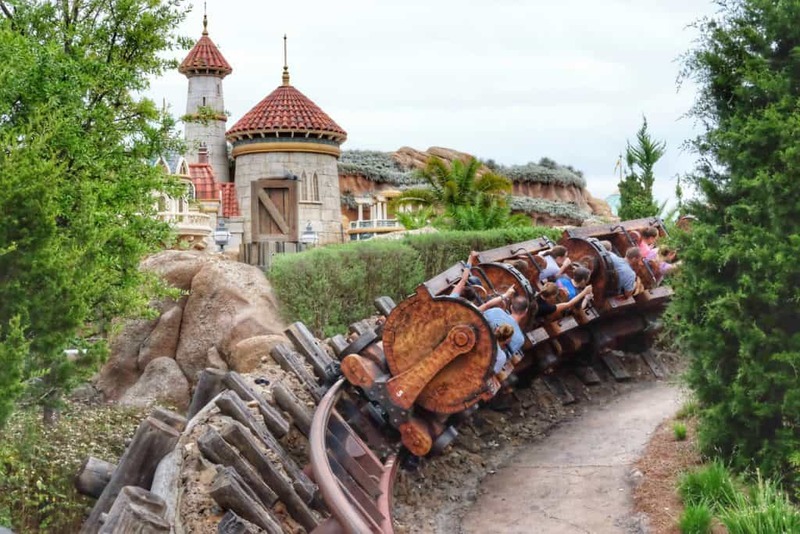 If you’re late for your dining reservation or don’t have everyone in your dining party, don’t worry it’s Disney, they’ll figure out a way to get you seated. If the monorail breaks down and you miss your Bibbidi Bobbidi Boo appointment, don’t worry it’s Disney, they’ll make room for you somewhere in the schedule. 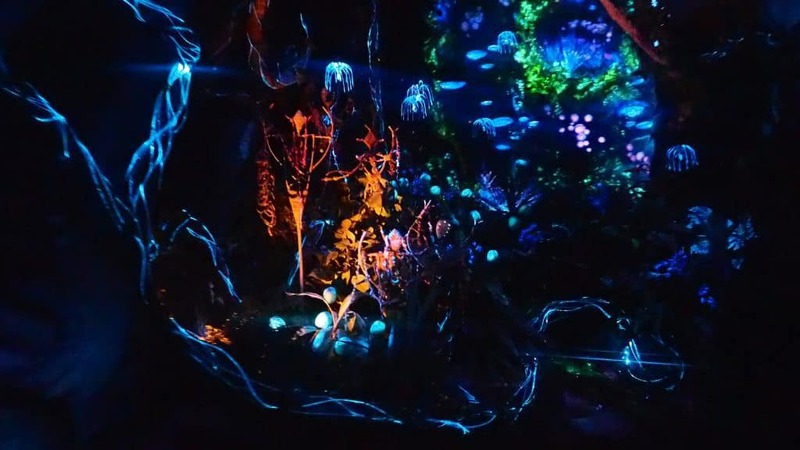 If you get stuck on Splash Mountain during the Halloween party and sit there for 30 minutes wondering if anyone will ever find you or if you should prepare to sleep on this ride, don’t worry it’s Disney, they have gps trackers on every magic band and they know you’re stuck on the ride, help is on the way. These aren’t extremes, all of these things have happened to us and while we may have been freaking out at the time and close to tears we now know not to worry, it’s Disney. There’s a reason Disney owns practically everything on the planet, they know what they’re doing. Perfecting the customer experience is their forte. They want you to have an amazing vacation. They will do everything they can to make sure you do. While this may seem like a no brainer, you’d be surprised how easy it is to forget to stop and drink something! Lets face it at Disney you are focused on rides, food, parades and characters…not necessarily keeping your body hydrated. Bring a water bottle and fill it on your own, grab the triple-filtered water for free at Starbucks, or plain ‘ol water at any quick service restaurant. Add fun drinks to your hydration lineup to ward of headaches and grumpiness. 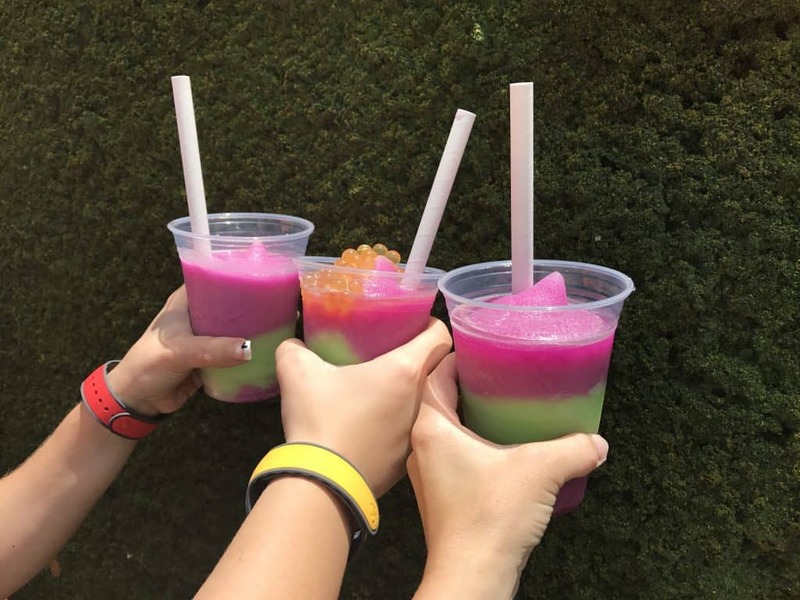 We like the night blossom drink at Pandora in Animal Kingdom, the American Dream at American Adventure in Epcot, Lefou’s Brew at Magic Kingdom, and the PB and J Milkshake at Hollywood Studios. We’re staying away from alcohol when we’re trying to stay hydrated… so it only felt appropriate to throw in a milkshake. We give you permission. Get a Dole Whip. Feel okay about completely abandoning whatever diet you may be on, this treat is worth it. We love the dole whip floats and if you’re feeling extra grown up some places can add rum to this sweet treat. There is a reason that people talk about this Disney snack. 1. You can’t get it anywhere else! Disney’s partnership with Dole is what makes this possible. 2. It’s semi healthy with a large amount of Vitamin C which can protect your skin from that Florida sun. 3. It can give you a reason to venture over to The Polynesian Resort on the monorail to stop by the Pinapple Lanai. You can also get this in Adventureland at Magic Kingdom. 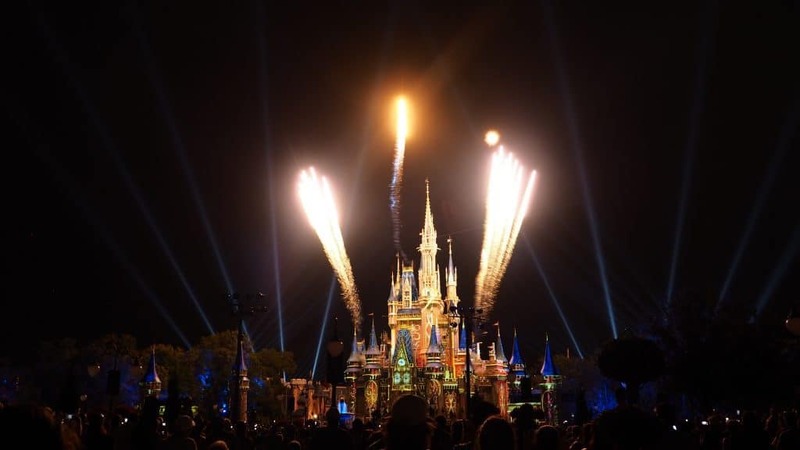 If attending Magic Kingdom for a party at Halloween or Christmas, you’ll notice there are 2 parades and 2 evening firework shows. Like almost everyone, we’re always super excited to save our seat for the parade or stand around the castle at 9 waiting for the fireworks show. That is, until of course we realized that every single person is doing the exact same thing which suddenly means all the rides are left open with no waits! For this reason we absolutely recommend trying for the second parade or the second fireworks show instead of the first. Your chances of riding everything you couldn’t get fast passes for earlier are good and your view of the fireworks at the later show will be better. You may even get hub grass seating! Always a plus. 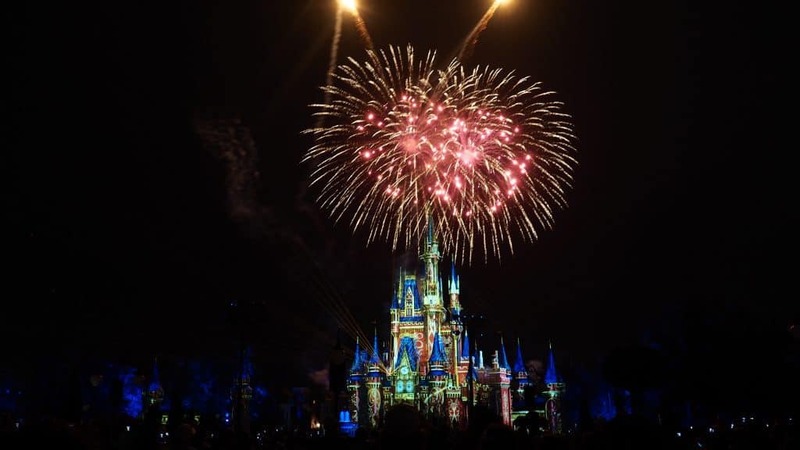 Of course if your toting around kiddies and really need to wrap up your day another quick tip would be that people leave the parks after the fireworks at 9 or 11, which means the busses will be packed at both times. So you can easily end your day at the end of the 2nd parade around 730/8 and miss the crowds. I must admit I go a little crazy about Disney food. Properly spoiled by the Free Disney Dining Plan I become kinda grouchy if we don’t have a meal planned. I can’t even elaborate how amazing it is to actually sit down in a decent restaurant after walking that 10 miles and riding all the rides for the day. 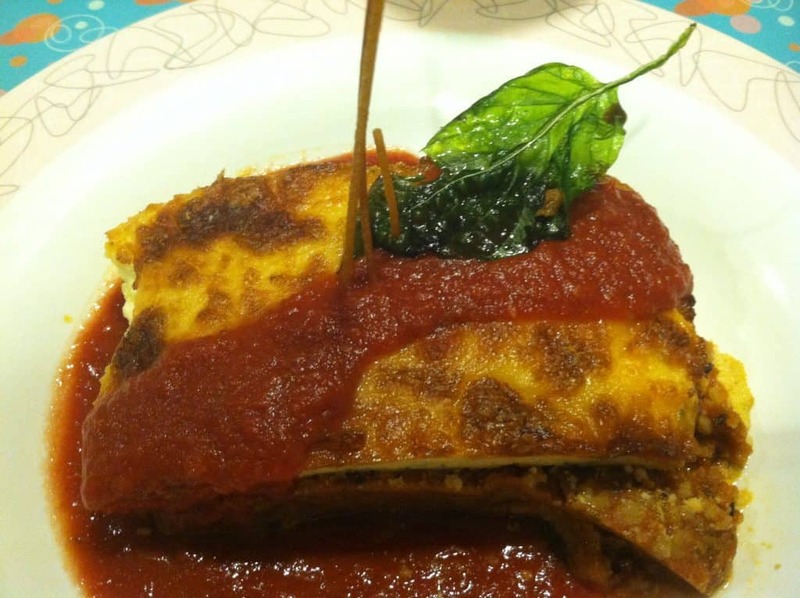 Whether it’s a nice cappuccino at Liberty Tree Tavern or the hot enchiladas at San Angel Inn and Ristorante sometimes you just need a great meal to top off your great day. Mind you this doesn’t have to a be a sit down Table Service if you don’t want to spend the money. Your planned dining could be as easy as chatting with your family/ friends about the best quick service restaurant at each park so you’re all on the same page. As we mentioned before the best Disney vacation is the one where you can just show up and relax.. that only happens if you do the proper planning before hand. Disney parks have dozens of restaurants that boast a wide variety of menus, it’s best to identify if your travel companions like american cuisine or sushi prior to trying to find those places in any given park and realizing they’re 5 miles apart. Make this easy. Pick one restaurant for each day of your trip. Sure you can plan all your meals, but make an effort to pick at least one place that everyone will like. If you need reservations make the reservation. If you choose a quick service restaurant pick the time you’ll take a break and eat. It’s very easy to get caught up in the day. You’ll need a break, and a meal can offer that. Okay. Imagine this. You’ve spent a bunch of money on this Disney Vacation, found the cheapest flights, got a sitter for your dog and put the lights in your home on automatic timers. After you’ve spent about 6-12 months of your life planning every detail, pinning every pin you’re finally at the resort ready for this vacation. Unfortunately, you can’t turn your real-life self OFF! In between rides you read every email, check every app notification, and scroll through facebook like its your job. You take calls from your boss and your family during the parade and try to solve problems happening at home. Here’s the thing, this is the typical Disney vacation for about 75% of vacationers! Did you really just spend four thousand dollars to bring your family somewhere so they could watch you work remotely? Did you just waste those 6 months planning so you could scroll through instagram at Pirates of the Carribean? NO! Of all the tips, this is probably our most important Disney vacation tip. In our 10 Ways to Unplug at Disney post we break down a few things you can do to separate yourself from your phone, laptop, and all those apps. You should BE IN THE MOMENT. Unless you’re used to meditating this will feel weird to you. Try it. Disney has so much to notice, you should turn off the phone and notice it! Did you know Main Street smells like cookies? And the Beach Club smells like aloe? Did you notice the graves at the Haunted Mansion come to life? Did you see all the hidden mickeys in the Gran Fiesta Boat Tour with the Tree Caballeros at Epcot/ Mexico. Could you tell that the screams coming from Tower of Terror are pre-recorded to go off every time the tower drops? Promise yourself that on this vacation you will just take everything in, you will spend time with your fellow travelers whether they be friends or family and you’ll devote 100 % of your attention to this vacation, to relaxing, to just being. You deserve it. 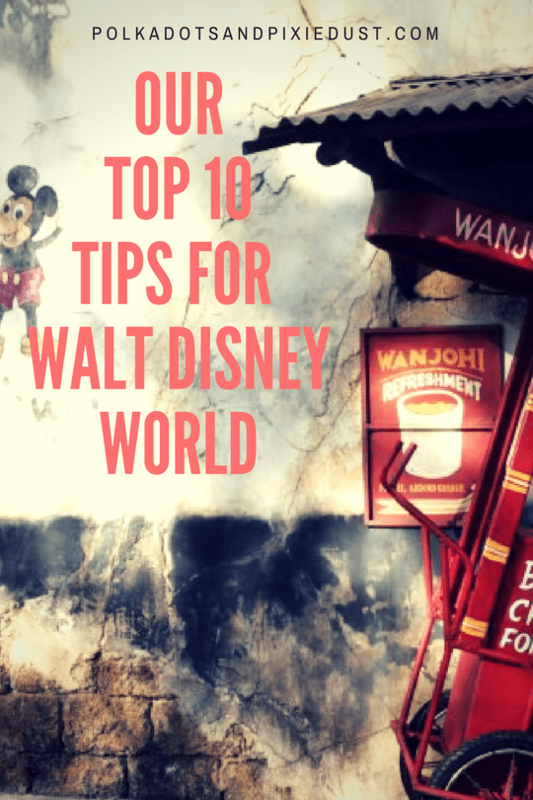 Hopefully these tips will help you prioritize whats really important for your Disney Vacation. Check out our planning tools and reviews for more ideas. XO Rochelle, Melanie and G.